If you are planning to relocate for any reason, one of the most important things you can do to facilitate the process is to create a moving budget. Setting a budget for a move is a valuable way to organize the entire project from the very beginning, and can ensure that your experience is streamlined, stress-free, and saves you from spending on additional costs. Even so, this step of the process is often disregarded by those that don’t have time to plan their move, or that simply do not have the know-how to create a moving budget. At Capital City Transfer, an agent of Wheaton Worldwide Moving, we’re dedicated to helping our customers make easy and affordable transitions to new homes in locations near, far, and in-between. Whether you’re organizing a simple household transfer to a new home in a different neighborhood or planning a complex relocation across the globe—we’ve learned that the best outcomes happen when the move is well-planned and organized from the very beginning. In this article, we will share with you some of the most helpful tips on how to establish a budget for long distance moves to give you the best chance you have to enjoy a smooth and successful moving experience. To come up with an overview of your moving budget, you will need to carefully plan your move in detail. Create a calendar that outlines the process, from packing timelines, moving dates, and information regarding specialty moving services you’ve hired for specialty items like expensive equipment, pianos, and other hard-to-move belongings. Reliable local movers can offer tailored services for clients’ unique needs such as packing services and household storage units. It is crucial to have a clear idea on what your situation requires so you will have all relevant information by the time you speak with moving companies and try to get quotes from them. 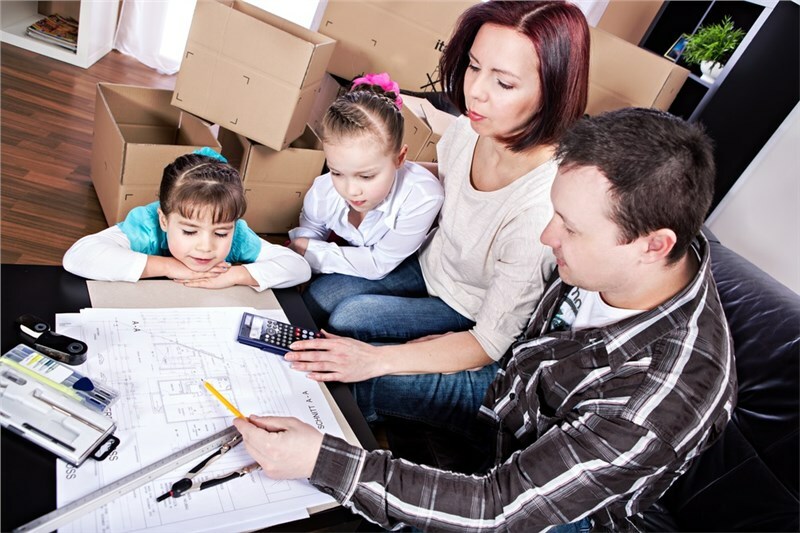 It is difficult to come up with a reasonable budget for relocation if you’re not sure what moving services will cost. Ask for recommendations from relatives, friends, and neighbors, and do plenty of online research to find the best moving companies in your area, and then request quotes from multiple local movers. Reputable moving companies will reach out with a free, in-home consultation and pricing estimate, and help you to formulate a moving plan that works well within your budget. However, it is also important to note that there are fraudulent or unlicensed companies that frequently draw in customers with impossibly low rates. Don’t be fooled by moving companies with rates that seem too good to be true—in most cases, customers will end up incurring more expenses from last-minute hiked up fees, hidden charges, or lost or damaged items. Make sure that you know how much you can allocate to your relocation project, and what you are comfortable with spending when planning a move to your new home. Keep in mind that a budget is useless if it doesn’t match up with how much money you can realistically spend on moving expenses. A reputable moving company will have tailored services designed to help customers create a plan that fits their budget. In these cases, customers will pay for only the services they need or want. When setting a budget for your relocation, be as detail-oriented as you can and make sure that everything is taken into consideration before, during, and after the move. Include all possible costs of the extras you might incur while traveling to your new home, such as gas, snacks and meals, toll fees, and rent for household storage units. Extra moving costs can easily add up, so be sure to account for all these minor details and add them to your budget. You can use Microsoft Word or Excel to create a budget template, but Excel is the clear favorite for keeping a running plan for your finances. There are also plenty of apps that can help you keep track of your expenses, and that can even be shared between spouses to organize payments, log transactions, and to keep tabs on your budget. Once you’ve learned how to create a moving budget, the next thing to do is to execute an easy, stress-free relocation. Hiring professional moving experts like our team of local and long-distance movers at Capital City Transfer can help you save time, money, and hassle, by helping you plan a streamlined moving experience that suits your exact budget. For more information on Capital City Transfer’s comprehensive moving solutions, give us a call now to speak with a representative over the phone, or fill out our online form to schedule a free, in-home pricing estimate today.